After Monday evening's Development Management Committee there was a meeting of the Policy and Resources (Police, Fire and Community Safety). This committee is the attempt to ensure some level of local accountability for police and fire services now that they are part of national services. The Scottish Fire and Rescue Service is currently consulting on the local fire and rescue plan for Dundee. You can read the consultation document here. I asked a couple of questions about this, firstly I wanted to know what was being done to ensure that there was the widest possible consultation. I also wanted a reassurance that any decisions which come about after the consultation will have the requisite resources attached to them. I would urge everyone to have a look at the document and ensure that the consultation has the widest possible reach. There were a number of interesting reports from the police. There were some interesting points made about the rise in stop and search in the city from councillors on all sides. The main thing that came across in the police reports was the amount of times that the abuse of alcohol (and to a lesser extent drugs) was one of the main contributing factors in crime and anti-social behaviour. This is something that all of us must bear in mind when making policy decisions in the future. This evening I attended the January meeting of the Development Management Committee. There were a few interesting planning applications on the agenda this evening. I was pleased to support an application for a new Multi Use Games Area (MUGA) pitch at Baxter Park, I hope that this development is a success. I was also pleased to support an application for new cemetery provision at Old Craigie Road. I supported an amendment which opposed an application for new houses at St Martin Crescent. I did this because I was concerned about issues around flooding and traffic issues. 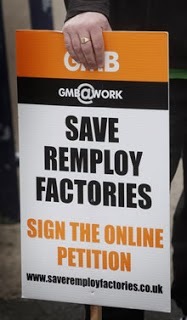 Last year I was really disappointed that cross-party efforts to save the jobs of those who worked at Remploy failed. My Labour colleagues on the cross-party working group (Jim McGovern MP, Jenny Marra MSP and Councillor Kevin Keenan) and I were disappointed when our idea to get contracts for public sector workwear and uniforms either for the Remploy factory or to a new sheltered workplace. We were told that this was not possible and that there was no way in which it could be done. We were then very disappointed to find out that the Remploy factory in Stirling has been given a Scottish Government contract to produce nurses uniforms. Along with Labour colleagues on the cross-party working group I have written to the Lord Provost who convened the cross-party group asking that the group is re-convened so that we can see whether it is possible to develop our ideas or not in terms of sheltered work places in Dundee. I am delighted at the news that the Scotland under-21 team will play a friendly international against Hungary at Tannadice Park in March. I've been campaigning for a number of years to get the SFA to bring international matches to Dundee. I am delighted that the SFA are bringing an under-21 international match to Dundee. I think that Dundee is an excellent venue for such matches and I have been surprised that there haven't been under-21 matches in Dundee for some time. I welcome the decision and I am looking forward to getting along to Tannadice on the night to cheer on Scotland. I hope that there will be a big crowd there which would tell the SFA that the public in Dundee and the surrounding area would support Scotland playing here in Dundee. 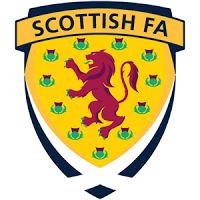 I am pleased that SFA have listened to me and the many people who supported the idea of bringing a Scotland international match to Dundee. I hope that this is a warm-up for a full international match being played in Dundee. Hampden Park is out of commission for the next year due to the Commonwealth Games and I think that Scotland should seriously consider playing a full international match in Dundee. There hasn't been a full international match in Dundee since 1936. That is so long ago that Edward VIII was still the king and Dundee had a Tory MP. In sporting terms the last time Dundee hosted a full international match Fred Perry was the Wimbledon champion, I am glad to say that the very long wait for another British male Wimbledon singles champion is over and I think that it is time to end the long wait for another full international football match to be played in Dundee. Hosting an under-21 is good for the city of Dundee, it will attract attention to our city and hopefully bring some visitors from Hungary as well as from other parts of Scotland. A full international would bring even more attention to the city and that is why I support Dundee hosting a full international. If you agree with me that Dundee should host a full international match then please get in touch with me to highlight your support.